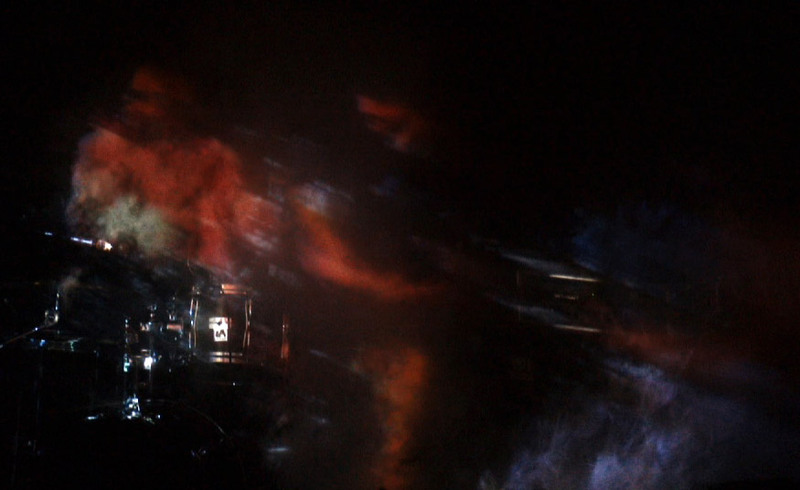 Video of the volumetric HD projections mapped onto the band’s instruments and billows of smoke. 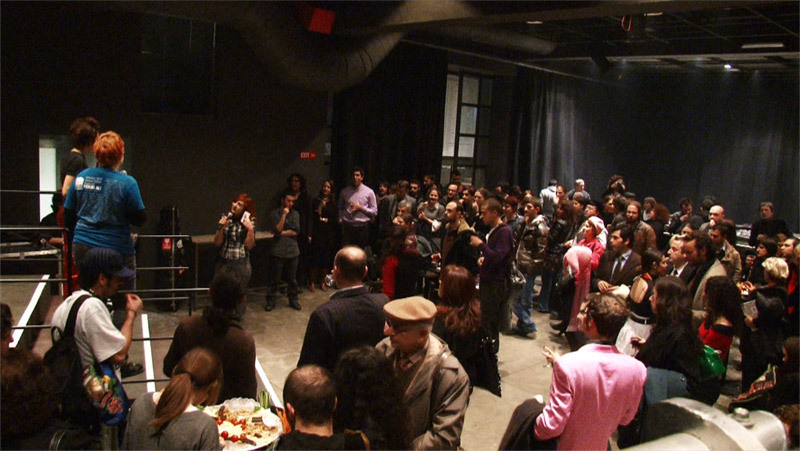 Shown at: Garajistanbul, Istanbul, 2010. Walker Art Center, Minneapolis, 2008. Portland Institute for Contemporary Art, Portland, Diverse Works Arts Space, Houston, 2007. The Kitchen, New York, 2006. 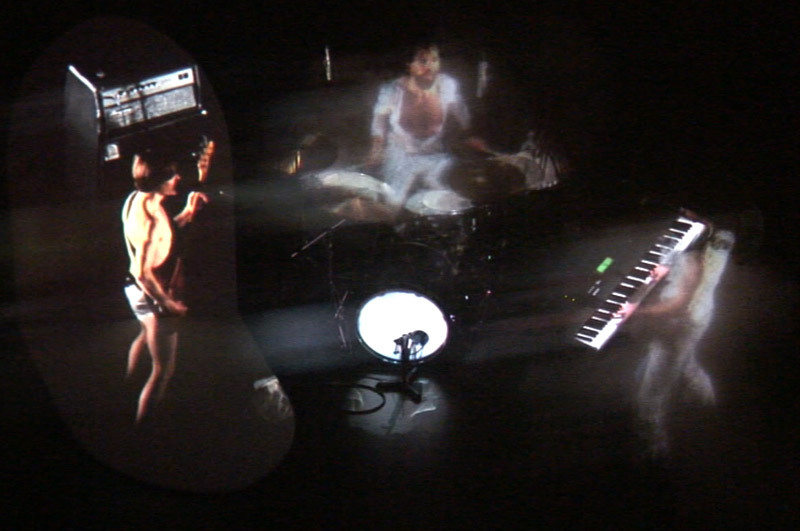 This show sits at the intersection of two very different types of performance, each one working within a separate vocabulary of performance temporality. 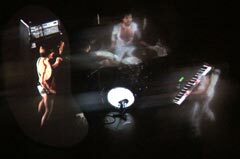 The first performance–the piece on the stage–is based on the visual art concept of a ready-made transposed into a theatrical context. There is a three-person rock band rehearsing a song over and over again, the “theme song” of the show. However, the band does not appear (in person) until the end of the piece. 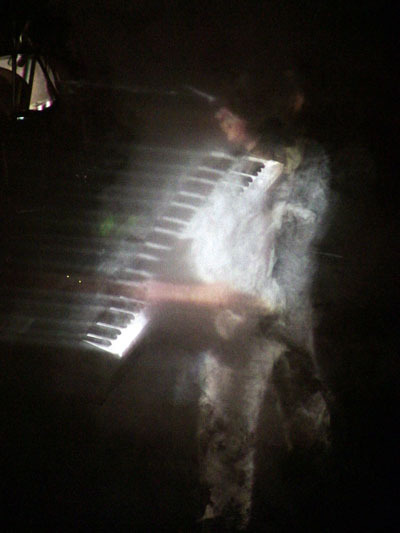 Rather, the work utilizes a technique I have developed using an HD video camera and projector together with smoke machines to produce a kind of low-tech hologram or the “ghost” of a live performance. The effect does not look like projected video. Eventually, towards the end of the show when the band has rehearsed the song to perfection, live bodies abruptly replace the ectoplasmic musicians and the band enters and gives a final rousing stadium-rock-like performance of the song. 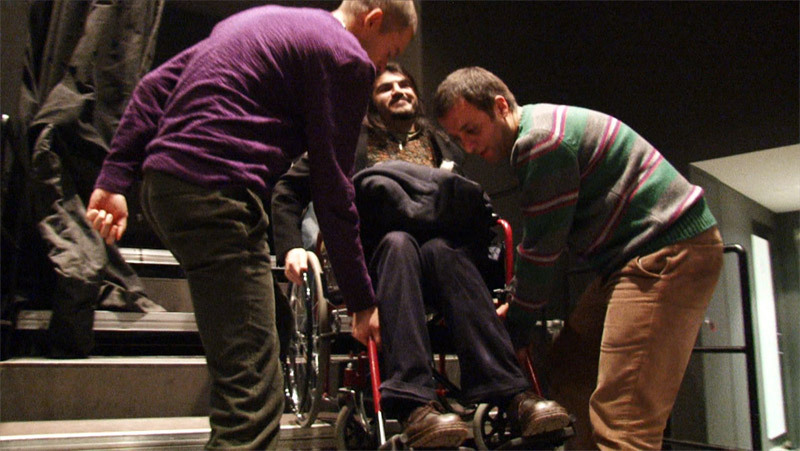 The second performance is that which occurs within the audience. This performance begins prior to the publicized show times, during which hidden performers or “plants” perform their roles as audience members inside, outside, and around the performance venue. These plants make up 50% of the audience and each plant develops his or her own complex character to portray that remains consistent throughout the shows. Once inside the performance space, they perform their displeasure with or enjoyment of the song, of the show, and, in character, perhaps sing along with the song during the final live version, encouraging the real audience to do so as well. 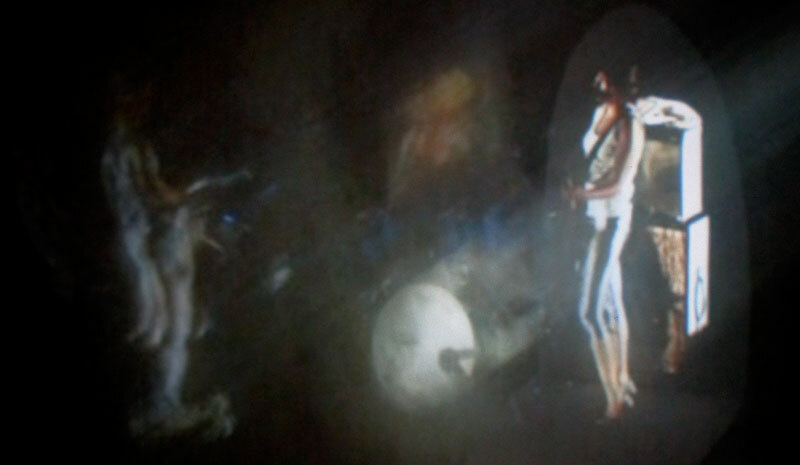 During the performance, the identity of these planted audience members is never revealed.